The report ‘An Emergency for whom? 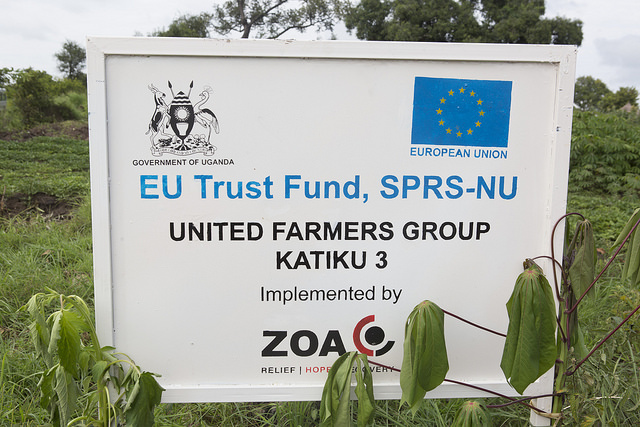 Published this week the EU Emergency Trust Fund for Africa – migratory routes and development aid in Africa’ finds that the program lacks checks and balances to guaranty the fund’s benefit for African countries. The focus on short-term EU interests might jeopardize long term interests for African partners. The progress report from the European Commission indicates further investments. Oxfam findings, based on the analysis of the projects implemented under the Trust acknowledges the Funds contribution to needed support for displaced people in African countries, but also identifies projects with a narrow focus of imposing migrant control measures. According to the findings 22% of the Emergency Trust Fund is allocated to migration management. This equals a total of €400m, more than half of which are invested in projects designed to restrict or discourage irregular migration. A mere 3% supports the development of safe and legal channels of migration. While descriptions of most projects are accessible, they lack transparency on adoption and implementation. The EU progress report on developments under the EU Emergency Trust Fund highlights the Councils particular commitment to ensure sufficient and targeted funding. It indicates the Trust’s contribution to immediate needs of migrants and displaced persons in countries of origin and transit as well as the critical importance of the Trust’s North African window. Also mentioned is support under the Trust Fund for search and rescue operations in the Sahara desert. ‘The European Union Emergency Trust Fund for stability and addressing root causes of irregular migration and displaced person in Africa’, referred to as EU Emergency Trust Fund, was launched 2015 within the Valetta Action Plan framework in connection with the European Agenda on Migration. With a budget of €3.1 billion the Fund is designed to address multiple aspects of migration. As of now € 1.9 bn have been made available for 117 projects in 26 African countries.